Quality hair care will help your extensions blend in. When you have shorter hair and want to enjoy a longer hairstyle, you either need to wait until your hair grows on its own or introduce shiny hair extensions into your existing hair. The ability to use hair extensions to lengthen your hair more quickly can allow you to create a greater number of hairstyles without the wait. However, not only do you need to know how to care for hair extensions using quality hair care products, but you must also learn how to get them to blend seamlessly with your shorter locks. One of the quickest ways to make your hair extensions stand out from your natural hair is to choose a color that doesn’t match your natural color. 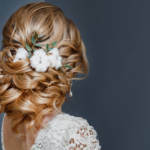 Some people like to choose extensions that stand out a bit and accent the hair, but if you want them to blend in and look like your natural hair, you need to match them as closely as you can. When you work with the right stylist to install your extensions, they can make recommendations for the right colors for your hair. 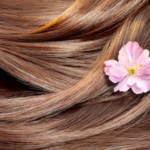 Do you know how to care for hair extensions? It’s not just the color you need to worry about when you choose your shiny hair extensions. You also need to make sure you find an exact match to the texture of your hair. If you have straight hair and choose curly or wavy extensions, they’re going to really stand out and won’t look like they are your natural hair. When you closely match the texture of your hair, no one will ever know you’ve added hair extensions to provide some additional length. When you have short hair, it can be more difficult to create a natural look with longer hair extensions. For starters, it’s important not to choose the longest extensions possible. Select the shortest ones that will achieve the look you want. Once you choose the length of your extensions, it’s best to create a layered look to your hair, rather than hide your shorter natural hair. Pinning back your shorter locks can accent the longer hair extensions and help them blend in. Shiny hair extensions can be the perfect way to add some length to your hair, especially if you have shorter hair. Regardless of why you want to lengthen your hair, learning how to care for hair extensions and ensure they blend well with your natural hair are important factors in the overall look. With the right care and attention to detail, you can pull off the look of longer hair without raising any suspicions. If you’re looking for quality hair care products to care for your extensions, contact us. 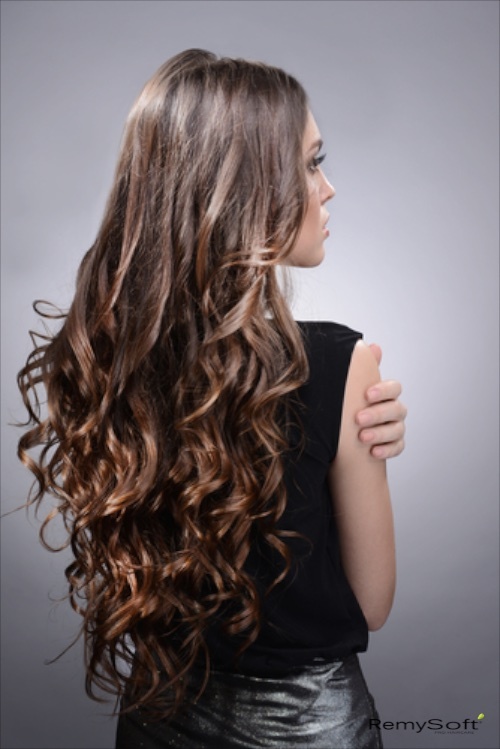 We carry a vast selection of products designed to keep your hair extensions looking great. Thank you for the advice on using extensions with short hair! I want a longer hairstyle but it’s taking me a long time to grow out my hair, so I’m thinking about getting extensions. I have really curly red hair and I’m not sure how easy it will be to match my hair texture and color. Do you have any advice for people with curly hair or redheads?